Anthadenia Lem., Hort. Van Houtte fasc. 1: 4. 1845; Fl. des Serres, 2: (Avr. 1846). 10. t. 6. Dysosmon Raf., Fl. Ludov. 48. 1817. Gangila Bernh., Linnaea 16: 42. 1842. Sesamopteris (Endl.) Meisn., Pl. Vasc. Gen. 298, 206. 1840. Simsimum Bernh., Linnaea 16: 42. 1842. Linnaeus, C. 1753. Species Plantarum 2: 634.
International Plant Names Index. 2015. Sesamum. Published online. Accessed Mar. 31 2015. Tropicos.org 2015. Sesamum . Missouri Botanical Garden. Published on the internet. Accessed: 2015 Mar. 31. 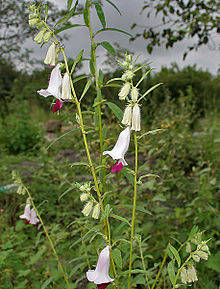 For more multimedia, look at Sesamum on Wikimedia Commons.